Genk (27th of March 2014). The meeting aimed at tracking the progress of the project that encompasses research on advanced manufacturing, personalised design, knowledge-based engineering for production, sustainable industrial production technologies, anthropometrics and ergonomics of human-product interaction all joint under the vision care industry. 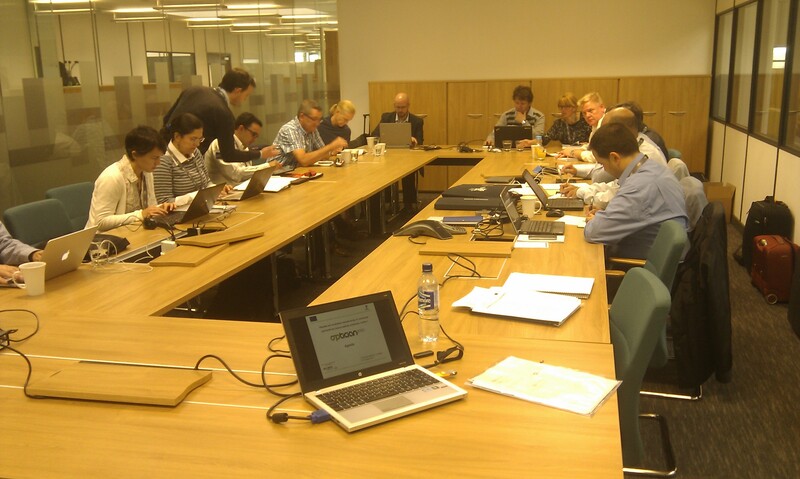 At the meeting, the development of the metrological scanner that records end-user facial anthropometrics measurements, as well as the first sketches of polyamide and metallic frames designs already manufactured were discussed by the consortium. The advances concerning the mini-factory IT architecture of the platform that manages the personalized spectacles manufacturing and delivery were presented. Research institutions (ASCAMM, IBV), private companies (Melotte, 3TRPD, Satisloh, INDO and K-INT), opticians and RX labs (PITA, LensWorld and Alcom) work together with the common objective of developing fully personalised spectacles in view of demonstrating that the personalized spectacles business can be fashionable, sustainable and at the same time a profitable proximity manufacturing industry. OPTICIAN2020 is a 3-years-project co-funded by the European Commission within the Factories of the Future initiative of the 7th Framework Programme that builds on the outcomes of the concluded European project Made4U. After Optician2020, partner INDO, a reference company with more than 75 years of experience in the field of ophthalmic optics, will be positioned in the frontline of the fast growing market of fully personalized spectacles. Figure 1. 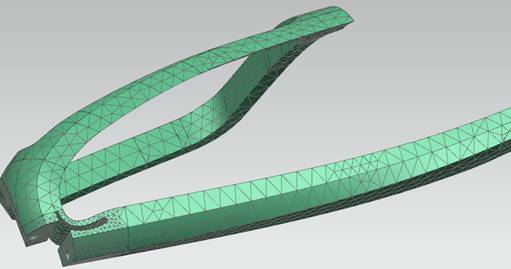 A simulation of a polyamide frame design.